With this being exam week on campus, we're not going to have a Bible Study tonight. I know how stressful this week will be for all of you, so know that I am praying for you. I'll be on the campus today from 2:00 - 4:00 PM today if you need to talk or have any specific prayer requests. 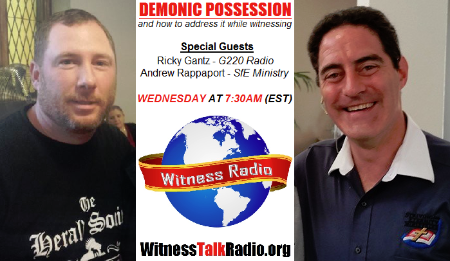 On the last two episodes of Witness Radio, we discussed Demonic Possession and what to do about it! Make sure you check out Episodes 43 and 44 if haven't already done so because it's very important to know how to handle demonic forces! 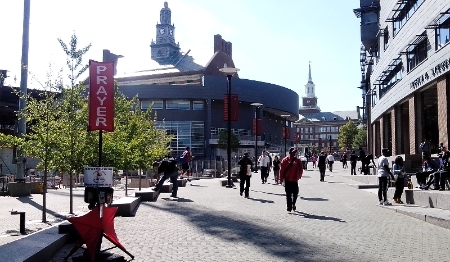 In the following weeks, we'll be back on the street sharing the Gospel with students and also talking about a cult that has infiltrated the University of Cincinnati! Once all your exams are over, I hope you'll consider joining me downtown this Saturday for an evangelism outreach during the Annual SantaCon and ReinDog Parade. The outreach starts at Noon and will last for roughly three hours. If you need a ride, let me know. Check out the Facebook Event page for more information. Lastly, if I don't see or hear from you before next semester, I pray that you'll have a happy and safe Merry Christmas!